This morning the first Crewed Dragon mission came to an end with a successful splashdown in the Atlantic Ocean. The spacecraft which was launched last Saturday spent five days docked to the International Space Station during which time the crew spent time unloading and loading cargo and performing tests and inspections. The hatches between the two vehicles were closed yesterday and autonomous departure occurred this morning complete another important test. 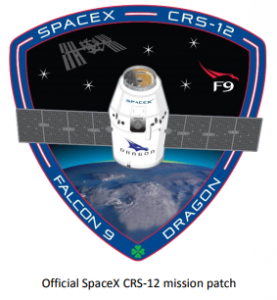 This mission included a number of first for SpaceX. This was their first crewed rated vehicle, their first autonomous docking, first splashdown in the Atlantic ocean. With the successful completion of this mission, SpaceX will now refurbish the Dragon which will be used again for the inflight abort test where the eight SuperDraco engines on the capsule will fire while the rocket is at Maximum Dynamic Pressure (MaxQ) to verify the abort system. This is tentatively scheduled for June. This then sets up Crewed Dragon for its first crewed mission which is tentatively scheduled for July this year, however that is subject to change as the data from these tests are completed and ISS schedules aligned. In another critical milestone the hatches between the International Space Station and Crewed Dragon were opened at 8:07 am EST today. We were also treated to amazing views from inside the Dragon vehicle as the hatches were opened, the first time for a capsule docked to the station. Over the next few days the crew will spend time unloading and loading cargo that is also being carried inside the vehicle. Undocking and splashdown is expected in five days. This morning SpaceX completed the third of their Iridium Next launches delivery another ten satellites to orbit. As with the previous Iridium launches the rocket lifted off from SpaceX’s Vandenburg launch site at 8:37 am EDT. Once in orbit, the ten satellites were delivered to their destinations successfully. After separation, the first stage of the rocket landed back on the Autonomous Spaceport Drone Ship “Just Read The Instructions”. This was the 14th launch for SpaceX in 2017 and 42nd overall for the Falcon 9. This was the 11th landing this year with a total of 17 to date. SpaceX resumed their 2017 launch campaign today with the successful launch of the Dragon vehicle for the CRS-12 mission to the International Space Station. As with previous CRS launches the first stage returned to land at Landing Zone 1. This launch comes after a month break to allow the 45th Space Wing to perform maintenance needed around Kennedy Space Center and Cape Canaveral Air Force Base. This was SpaceX’s 11th launch this year and 8th landing.